Yossi Milo Gallery is pleased to announce an exhibition by internationally-exhibited Japanese artist, Yuki Onodera. The artist’s premiere solo U.S. show features artwork from two series: Transvest and Eleventh Finger . 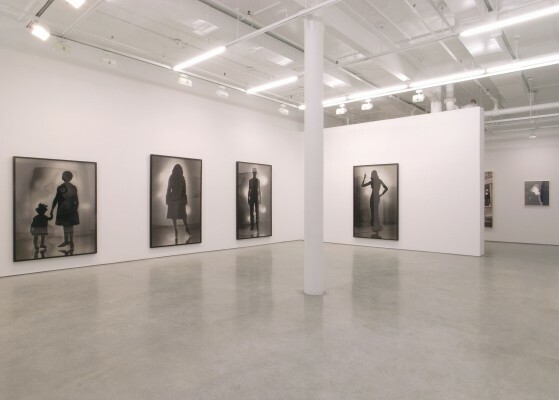 Ms. Onodera’s ongoing Transvest series (2002–present) are life-sized gelatin silver prints of human figures in silhouette. From a distance, the figures appear to be characters easily identifiable by their clothing and gestures: a flamenco dancer, cowboy or boxer. However, closer inspection reveals that each form is a cut-out shape clothed in fragmented imagery of diverse subjects, including architecture, animals, streetlights, portraits, microscopic organisms, or landscapes. The carefully selected figures from various printed materials are first cut out, placed on a mirror stage and photographed against strong back-lighting. Through physical and digital collage, the figures are filled with image fragments from old photographs, magazines, video and other material, dating from the invention of photography through the present day. Printing and processing the gelatin silver prints in the dark room, the final result is iconic silhouettes. As composite images, each figure transcends and embraces the world around it. Photographs from The Eleventh Finger series (2006–present) are anonymous street portraits, taken spontaneously without use of the view finder. The faces of the subjects are obscured by pieces of paper carefully perforated by the artist into intricate lacy patterns and overlaid onto the photograph during the printing process, creating both a photogram and photograph. 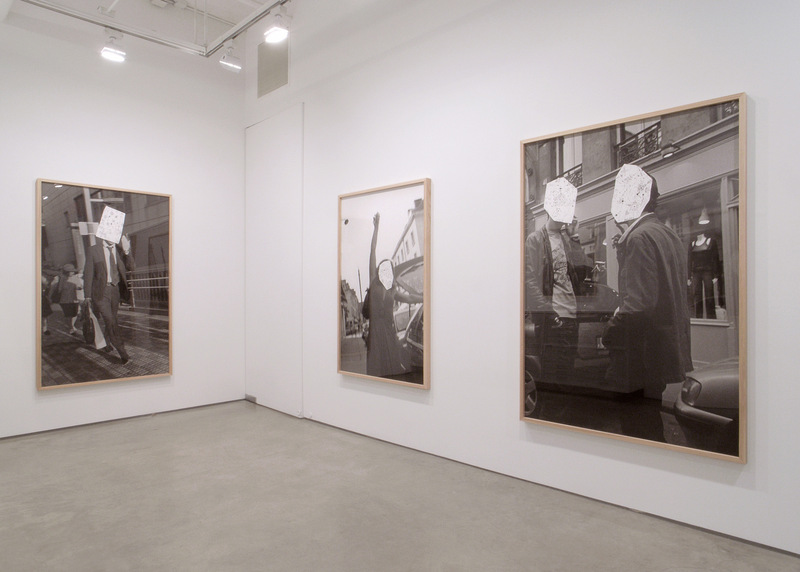 By covering the faces, the artist both highlights and renders the postures and gestures meaningless while addressing the issue of the subjects’ right to privacy. 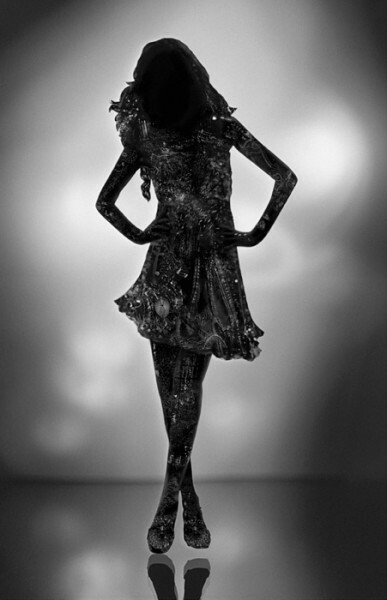 Yuki Onodera’s work has been exhibited in Europe, Asia and the United States. Musée Nicéphore Niépce, Chalon-sur-Saône, France will present a solo exhibition of Ms. Onodera’s work this fall. 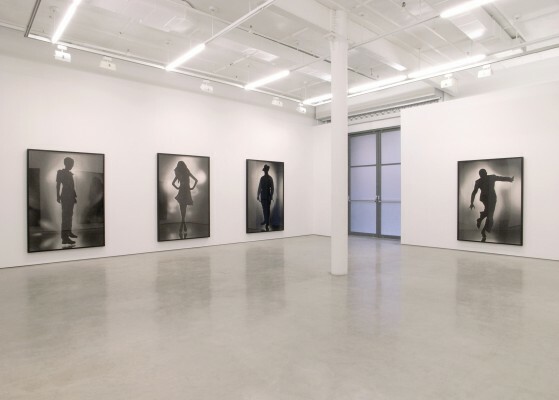 Past solo exhibitions include shows at the Tokyo Metropolitan Museum of Photography (2010), Museum of Photography, Seoul (2010), Centre d'art Nei Liicht, Luxembourg (2008),Centre de Photographie de Lectoure, France (2007), Shanghai Art Museum (2006), and the National Museum of Art, Osaka (2005). Her work is in the collections of the Musée National d’Art Moderne, Centre Pompidou, Paris; Huis Marseille/Museum for Photography, Amsterdam; le Fonds National d’Art Contemporain, Paris; Museum of Fine Arts, Houston and the San Francisco Museum of Modern Art, among others. Ms. Onodera was the recipient of the prestigious Prix Níepce in 2006. The artist was born in Tokyo in 1962 and has lived and worked in Paris since 1993.